Time to market (TTM) matters. If you truly need something, getting it fast is better than getting it late. If a business benefit matters, getting it fast means we can accumulate value sooner. I had done the math, getting the Tesla made perfect sense. After that it was a matter of getting it fast. feel free to get back to whatever task at hand. Time to Market helped me act on the vision. “The reason we decided to invest in a Tesla, was inspired by the need to do something for the environment. Our solar panels were producing more electricity than needed, it made economical sense to think of ways to make use of the excess production. The reason I wanted the Tesla is because it felt right to want that Tesla. The rest was a matter of opportunity. About being able to afford one, and getting it. 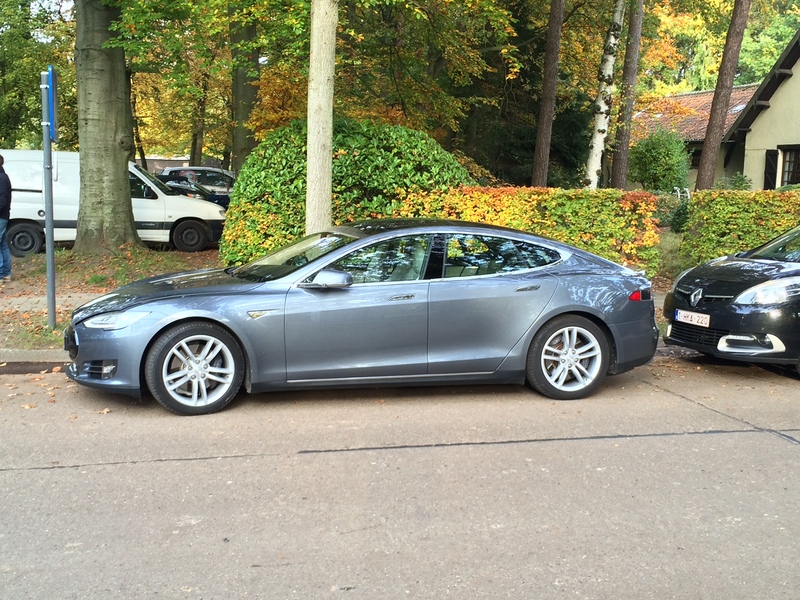 The test drive at the Tesla dealer made me buy into the vision, finding a second hand equivalent made it possible. I had found a way to make the Tesla happen – the rest was Time to Market. I felt proud, exhilarated, save for one detail: … I still needed to convince the wife. … but horribly failed when making the pitch. ROI did not work. It backfired. I have to admit that getting the Tesla had been an emotional decision. Getting one may not have been the right move, getting one without talking to the wife turned out to be a huge mistake. My wife got a dog instead. The truth about the Tesla is that driving an electric car made me feel good about myself & cruising it put a smile on my face. This had little to do with Return of Investment, nor Time-to-Market. The truth about ROI (Return On Investment) is that it is often misused as a buying argument – rationalizing a buying decision early on rarely is a good idea. I had tried this before – it has never helped me make a deal, maybe even killed a few. The truth about Time-to-Market is that it hardly ever consists a reason to act. Rather it will act as catalyst between the buying decision and business value. Time-to-Market is a way to determine how we can make things happen. How can we fit it in the budget, how can we get results the fastest possible way. TTM can help choose between options. If all other things are indeed equal, choose for the fastest TTM. All things are not equal. As budgets rise and stakes get higher, business buying decisions can be emotional experiences – and should be treated as such. Yes, business purchasing decisions are prone to rationale, but: … determining how you feel about the people you want to work with, assessing how we feel about making the deal, ambitions expressed by our project, etc. will take an important part in our business buying decisions. At some point, you may need to make a business case to sell it back to your board. You will likely need to use rational (such as ROI) and plot a timeline (not unlike TTM), but allow your peers to test-drive your vision. One year down the line I swapped my Tesla for a reasonably-priced-plugin-hybrid alternative. That car still makes me feel good about myself. It allows decent mileage & is much cleaner than its gasoline counterparts. But it never will be a Tesla.